I was surprised to see on the news a couple months ago that a conference of people who believe the earth is flat was held in Raleigh, North Carolina, on Nov. 9-10, 2017. It was a sold-out event, with about 400 people attending. The image above is the shape of the earth as most of them see it. The white band around the edge is the "ice wall" (known to everyone else as "Antarctica") that keeps people and the oceans from falling over the edge. A little more research turned up news stories about the Flat Earth Conference. Examples: "Inside the first ever 'Flat Earth conference' where conspiracy theorists promise to 'reveal Nasa space lies' and prove our planet isn't spherical," "Fanatics descend on sell out 'Flat Earth' conference promising to 'reveal NASA space lies'," "GLOBE NOTTERS: These oddballs are convinced the Earth is FLAT … and they’re out to ‘prove’ their theories are true," "Sellout flat-earth conference discusses NASA lies, fictional 9/11 and government mind control." Note that the routes were clearly chosen so that they would cross Antarctica, and they ignore shorter, actual airline routes that go to and from the places depicted and do not require flying over Antarctica. 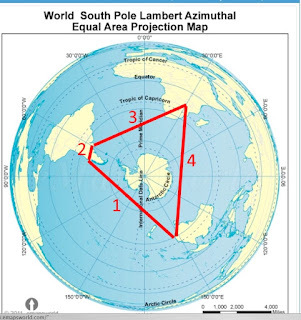 Moreover, the route they show from San Paolo, Brazil, to Perth, Australia, which goes closest to the South Pole, would be a 9,240 mile trip, and the range of a Boeing 747-400 is just 8,380 miles. 1. Sydney, Australia, to Santiago, Chile, via Qantas Airlines. 2. Santiago, Chile, to San Paulo, Brazil, via LATAM. Time: 4 hours, 10 minutes. Many daily non-stop flights. Time: 10 hours 25 minutes. 1 - 2 non-stop flights per day. 4. Johannesburg, South Africa, to Sydney, Australia, via Qantas. Time:11 hours, 40 minutes. 1 non-stop flight per day. And that is where the absurdity of the Flat Earth theory can be clearly seen. 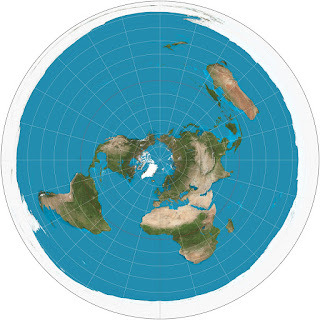 To get from Sydney to Santiago, you have to fly across the flat earth world, passing over Los Angeles, California! 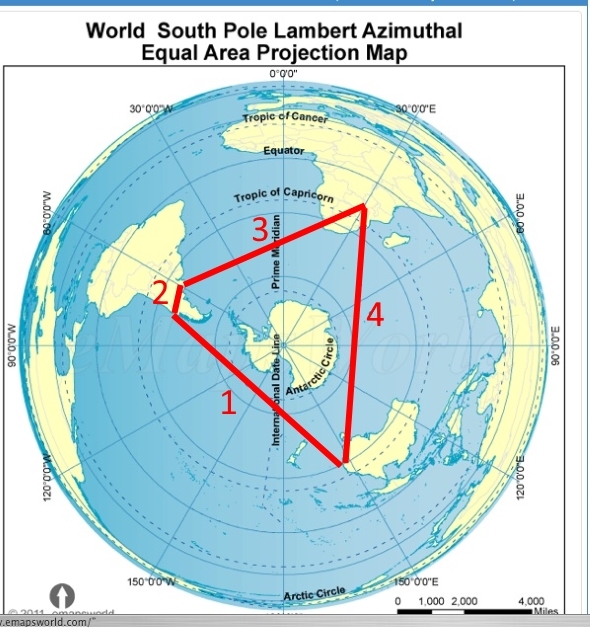 There doesn't seem to be any way to measure distances on the Flat Earth map, but on a globe, a flight from Sydney to Santiago that passes over Los Angeles would be 13,084 miles, much farther than directly from Sydney to Santiago on a globe, and far beyond the range of a Boeing 747-400. 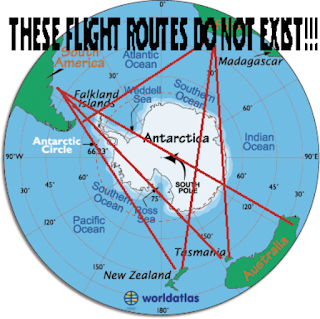 And, of course, when flying on the flat earth from Johannesburg to Sydney, you would fly over Saudi Arabia and China. On a globe, the flight is mostly over the Indian Ocean. The question then becomes: When people take these flat earth flights, how is it they do not notice that they are flying over land when they should be flying over the ocean? And how do they make it in one hop if the distance is greater than the distance the plane can fly without refueling? Do the Flat Earthers believe all the passengers are hypnotized or drugged as soon as they get aboard? Or maybe the Flat Earthers are just incapable of understanding simple logic.